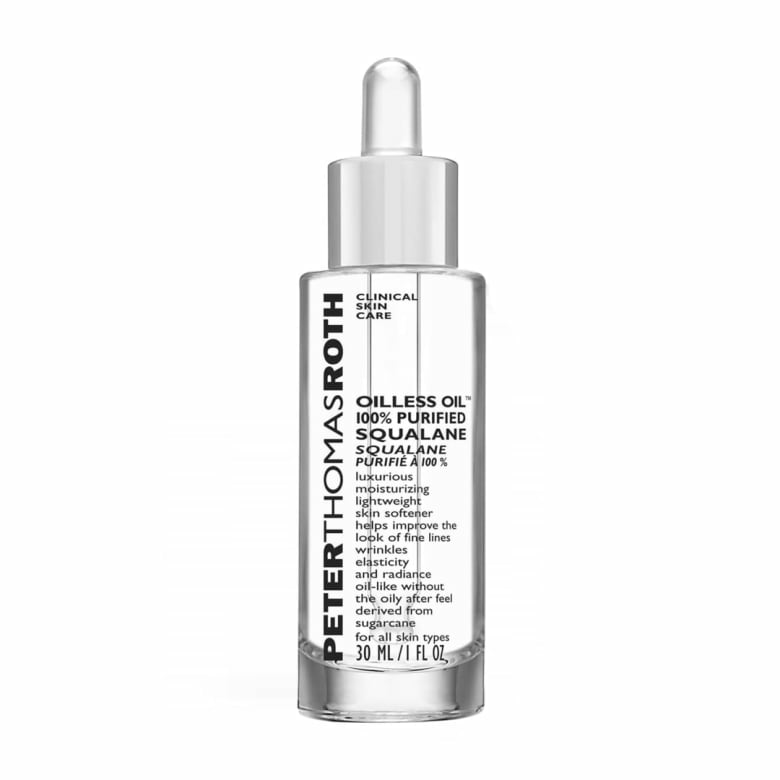 The workhorse oil emollient to know, and how to source it. Not to jinx it, but it appears that winter — as cold, painful and dreadfully long as it was this year — is finally behind us. And while we're thrilled about the first sightings of, oh, you know, grass and life, for many of us, weather changes are inevitably followed by frustrating skin changes. You may have noticed that your skin hasn't quite bounced back after winter, and is feeling tight and dried out. This could mean that this spring, your regular moisturizer might not be enough to get you through. Enter squalane, the hardworking oil that just might be the answer to your dry skin woes. Unlike hyaluronic acid or polyhydroxy acids, which are humectants (meaning they draw moisture out of the air and into the skin), squalane is an emollient, covering skin with a protective barrier. While both types of moisturizers have their place, squalane will prevent your skin from losing its water content. The workhorse oil is also thought to be non-comedonal (non-pore clogging) and have antibacterial properties. But though squalane is produced naturally by the body, its production slows drastically after the age of thirty. Thankfully, squalane can be found in the natural world. Once upon a time, it was most frequently sourced from the squalene in shark's livers (more on this compound later), before conservationists and animal rights activists rightfully stepped in. These days, many companies opt to use squalane that's sourced from sugarcane or olives, though it's not to be confused with olive oil. While it is an oil, squalane is odourless, and doesn't have a typical heavy, greasy feel. 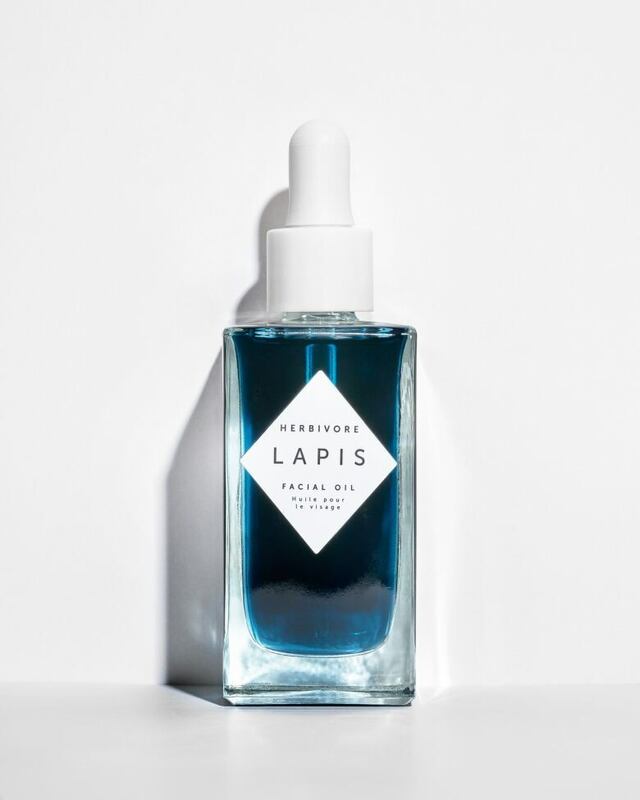 In fact, its molecular makeup is actually quite similar to our skin's cell membrane, which is why it's easily absorbed into the skin and rarely causes allergic reactions, making it a particularly good option for sensitive skin. 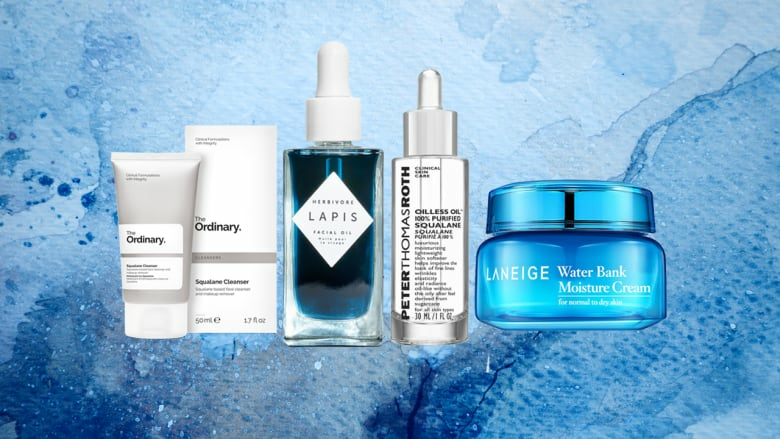 "It is an excellent moisturizer," says Dr. Julia Carroll of Toronto's Compass Dermatology, who suggests looking for either a moisturizer or facial oil containing 100 per cent plant-derived squalane. That said, while she would recommend squalane for those with dry skin, Dr. Carroll does say squalane wouldn't be her "first option for oilier skin types or for those that are acne-prone." She also notes the importance of recognizing the difference between squalane and squalene (with an 'e'). Squalane is a form of squalene, which is a fatty molecule and "a natural component of human skin sebum, also known as oil," Dr. Carroll explains. Squalene in its natural form is quite unstable, whereas squalane is more saturated and is less susceptible to oxidation. This means it has a much longer shelf life and is better suited for inclusion in skincare products, explaining why Dr. Carroll says that consumers should make sure they opt for the more stable squalane versus squalene. Below are some hydrating skincare products that contain squalane. Made with plant-based squalane, plus a combination of jojoba and kukui nut oil, this is a great moisturizing oil to add to your routine. Derived from sustainable, naturally sourced sugarcane, this lightweight, 100% purified squalane oil, absorbs quickly and easily into skin. 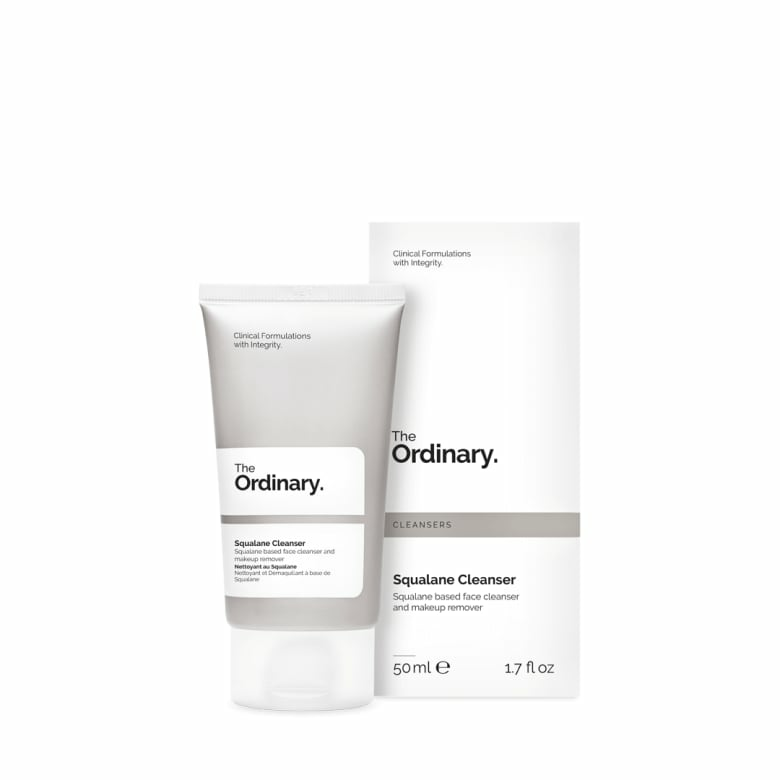 The Canadian brand launched its first-ever cleanser earlier this month, a cream formula that's meant to be warmed in your hands until it becomes a nourishing, hydrating balm, then applied to the face. 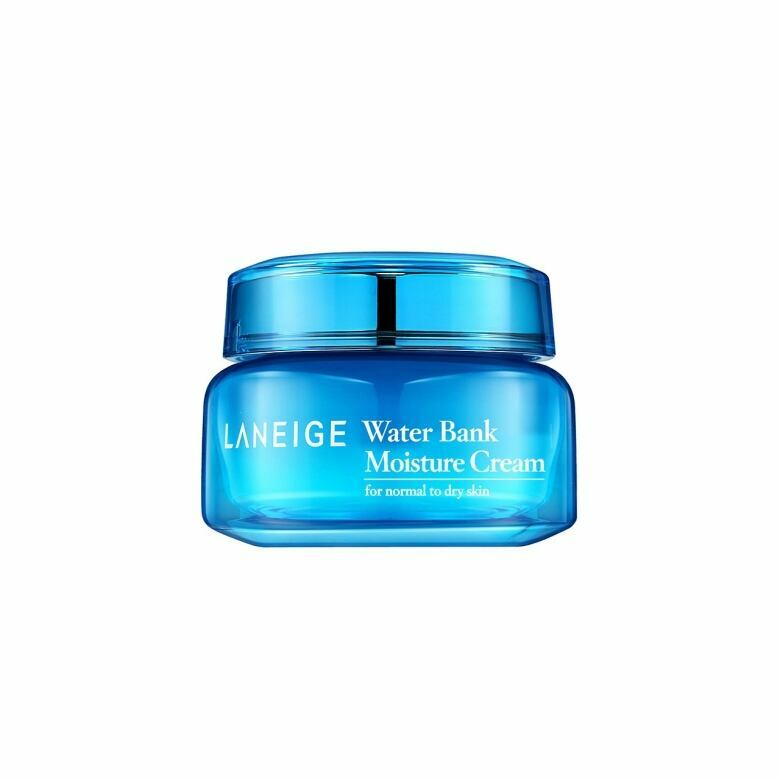 This thick moisturizing cream is suitable for all skin types, and can be used as the final step of your daytime or nighttime skincare routine.